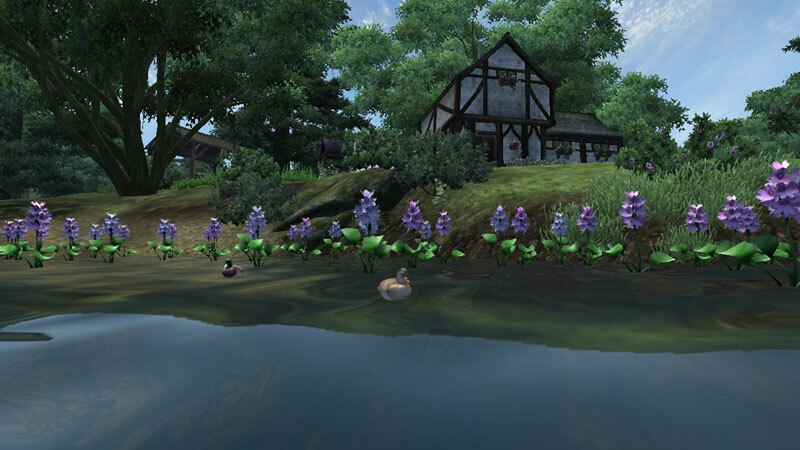 Leyawiin Lake House is located on an island slightly north of Leyawiin, accessible from a bridge close to White Stallion Lodge. 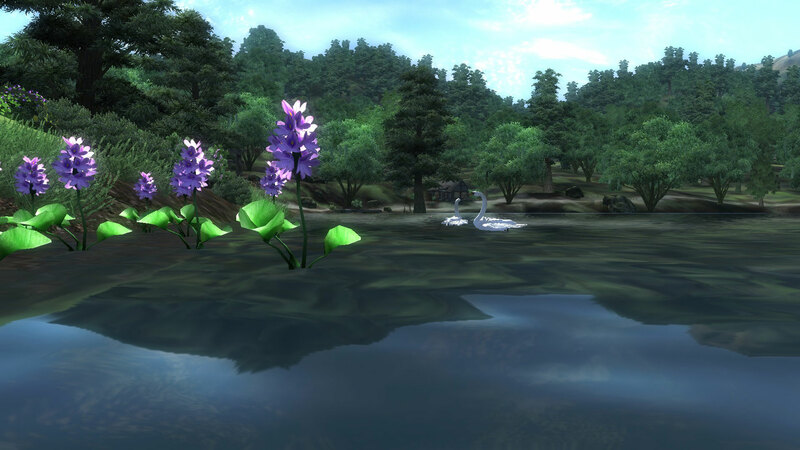 Here, the weather is nicer than in the Leyawiin city, and you can enjoy the company of swans and ducks as you spend an evening outdoors viewing the Topal Bay. 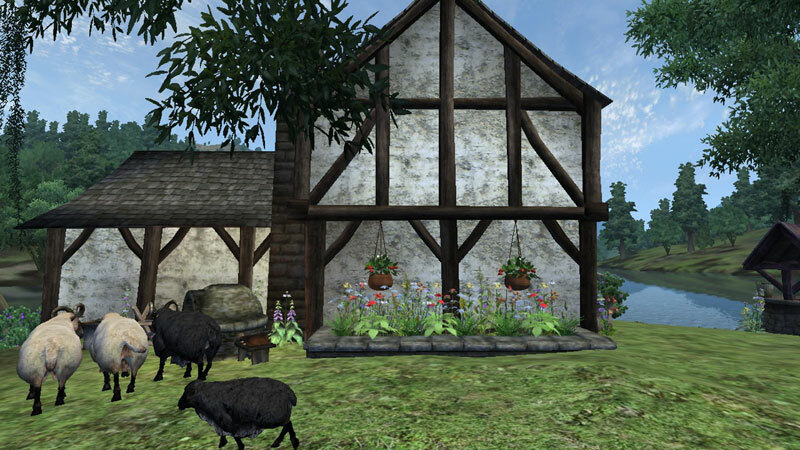 The house is filled with crafting facilities, and you have the option to buy your own sheep for wool production. 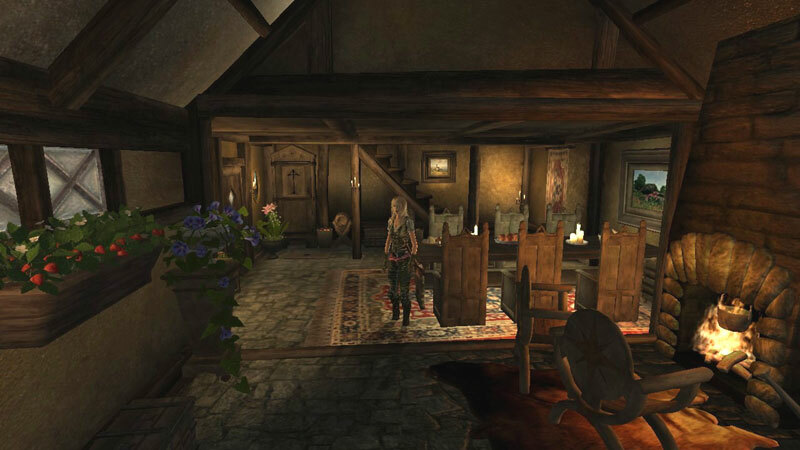 You buy the house at Leyawiin Best Goods and Guarantees. 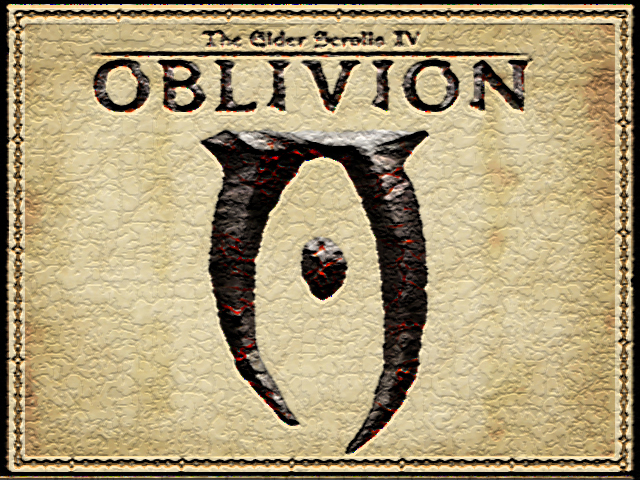 http://www.nexusmods.com/oblivion/mods/41086/? 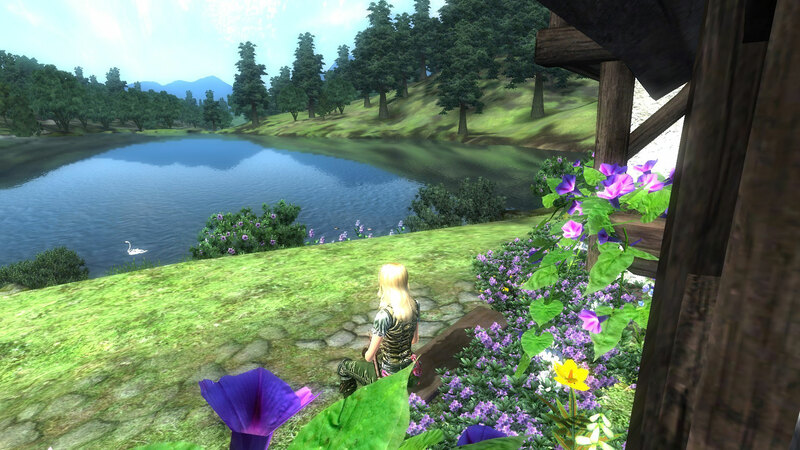 .It is companionfriendly, lorefriendly and includes an abundance of crafting facilities (ingame crafting manual is provided). It includes a double-bed and two bedrolls that can be enabled for companions to sleep on. There is plenty of storage space - +35 nonrespawning containers in the main area and +70 nonrespawning containers in the basement. There is also a small garden and a stable. 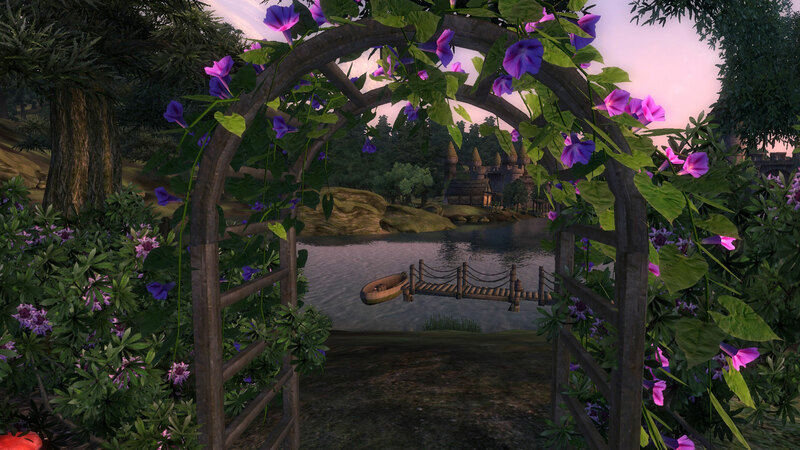 - Use the boat at the pier behind the house to travel to the Leyawiin Gate. The boat will wait for you outside Leyawiin when you want to go back home. - A Mudcrab trap has been added to the pier. 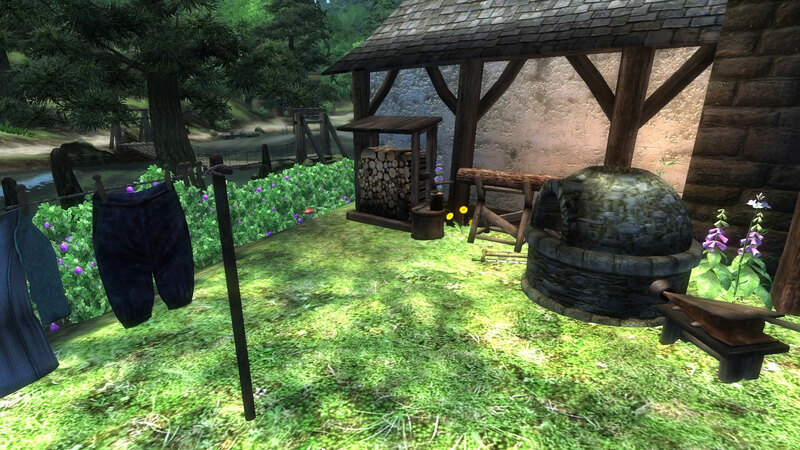 - You can now also chop and saw wood and use them to make your own wooden statues. 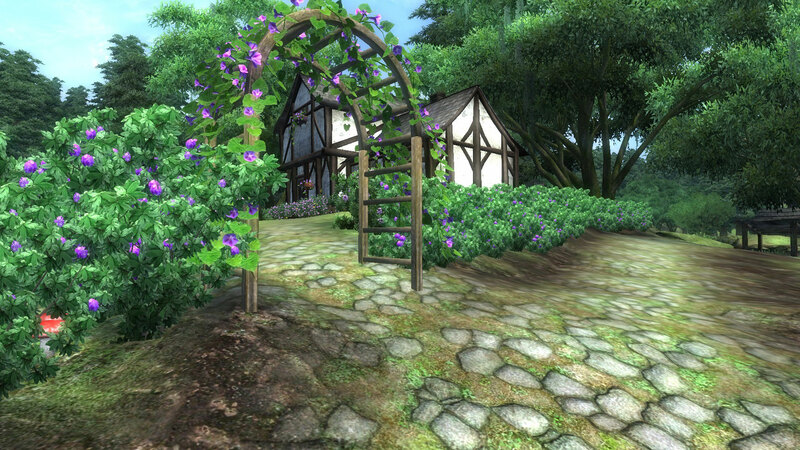 - Two trellises and more flora has been added to the garden.The hedge has been adjusted in an attempt to make it look more "natural". - Small changes to the interior: some of the tapestries have been replaced with new ones. A better sewing kit has been added. The placement of the bedrolls and some containers have been adjusted.The cooking facility has been extended with Mud crab soup. 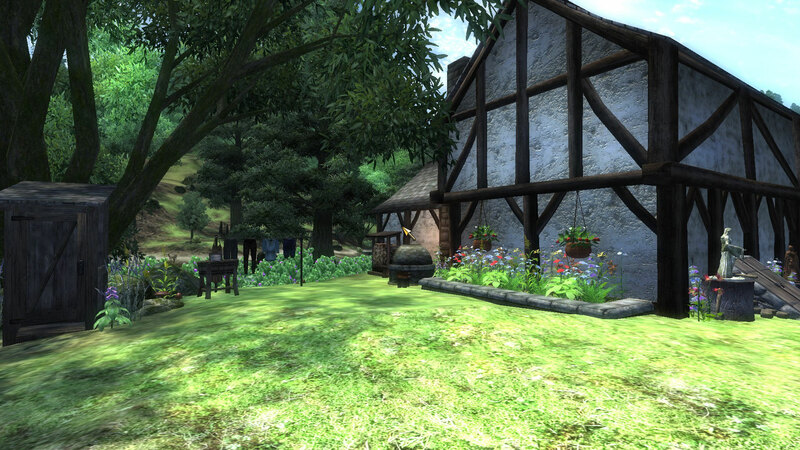 - you may craft jewels from gold- and silver nuggets or silver items - smelter facility in the garden. 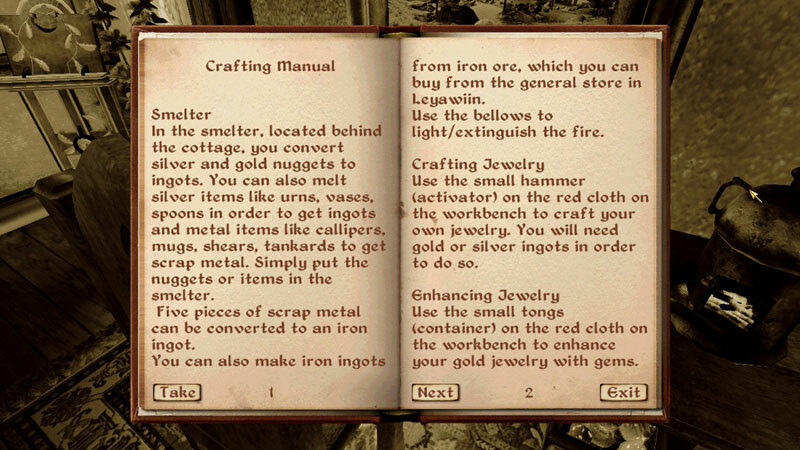 - you may craft lockpicks from smelted metal items. 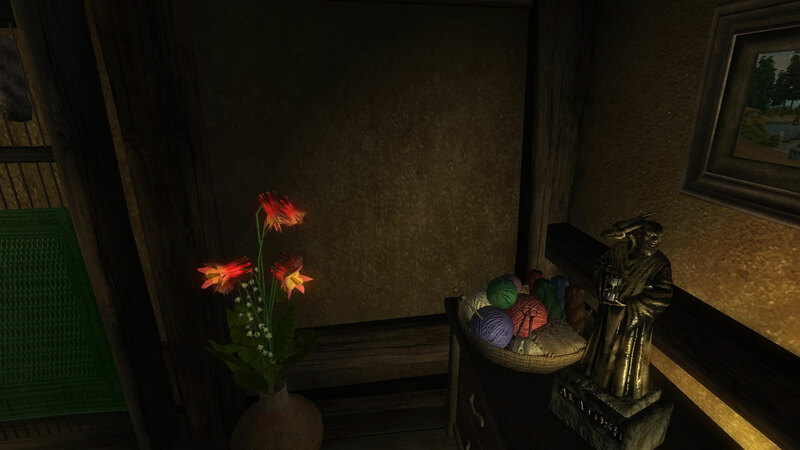 - you may craft your own statues in silver or gold in the basement. 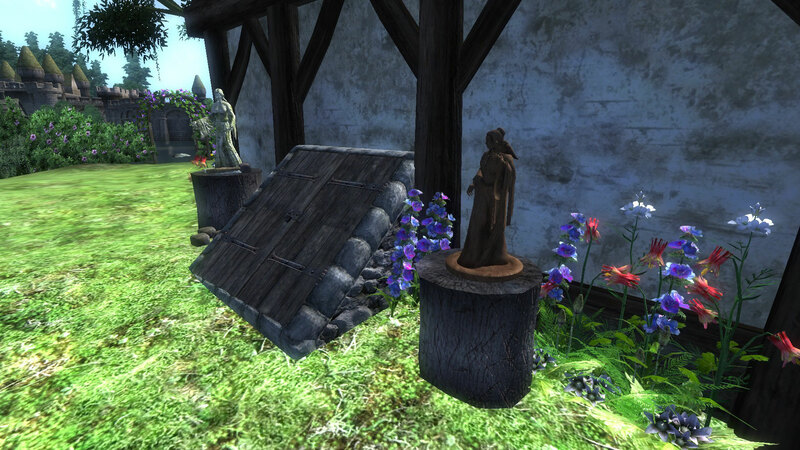 - you may craft your own statues in stone and wood outdoors. 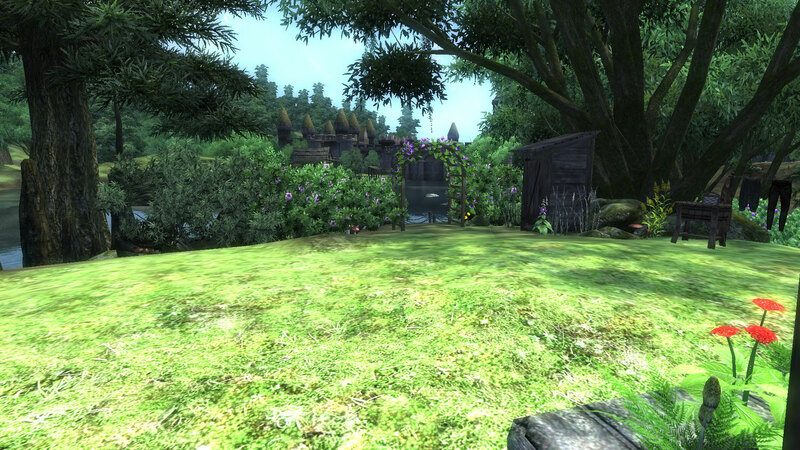 Wood can be sawed and chopped at the backside of the house, new stones can be found at various places in the garden. 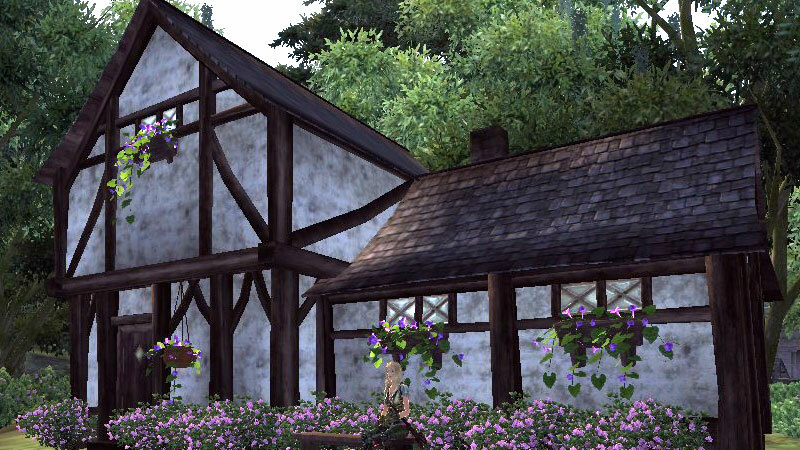 - you may spin wool - there is a respawning wool barrel in the main cottage and you can buy more wool at the general store. 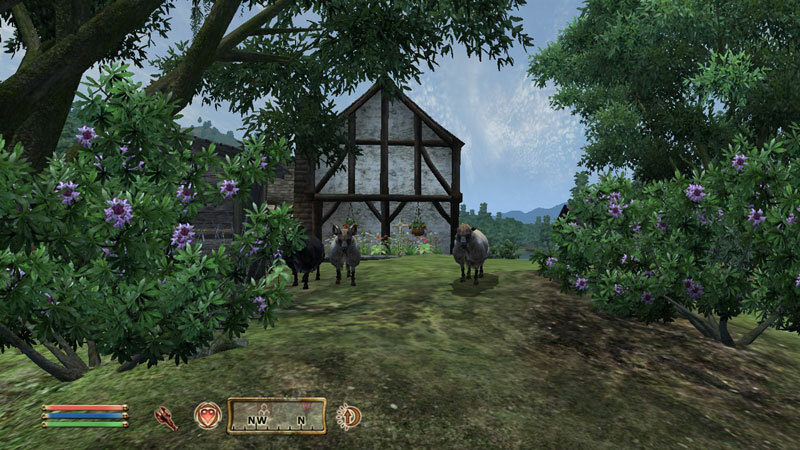 You can also buy your own sheep, either from the general store in Leyawiin or from Malene at Roxey Inn. - you may make your own yarn and use it to weave and sew new outfits. 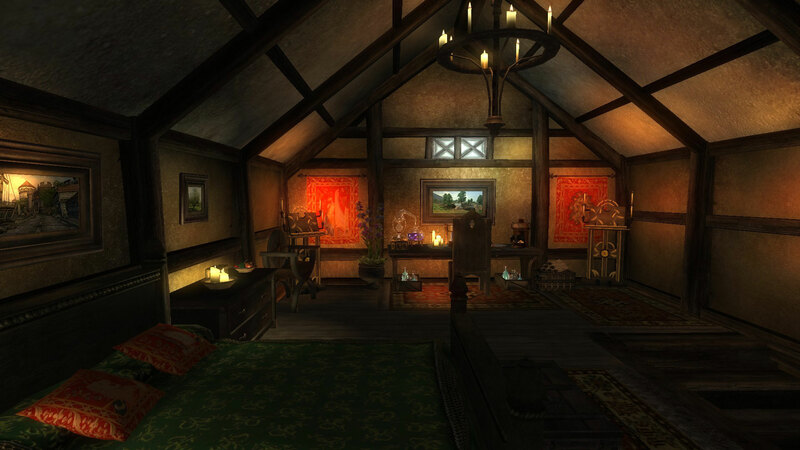 - extensive crafting manual is provided in the cottage. 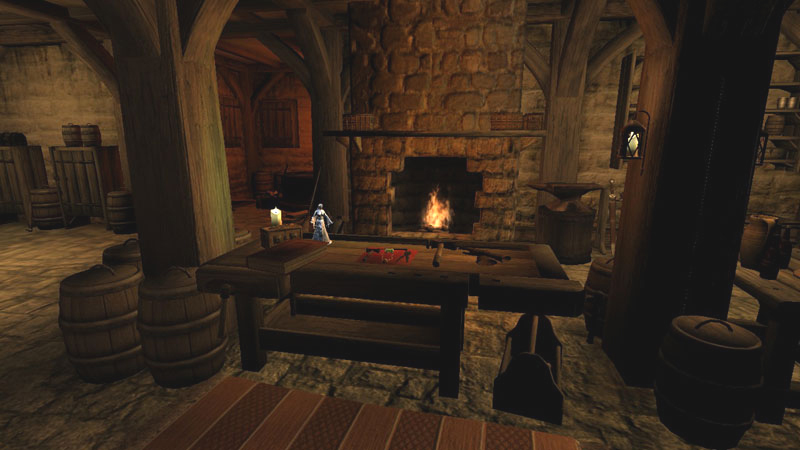 - you may make your own soup or stew in the cooking pot at the kitchen fireplace. - you may make your own coffee by using the coffee pot at the kitchen work desk. - you may light/extinguish the fires by activating the wateringcans placed next to them. 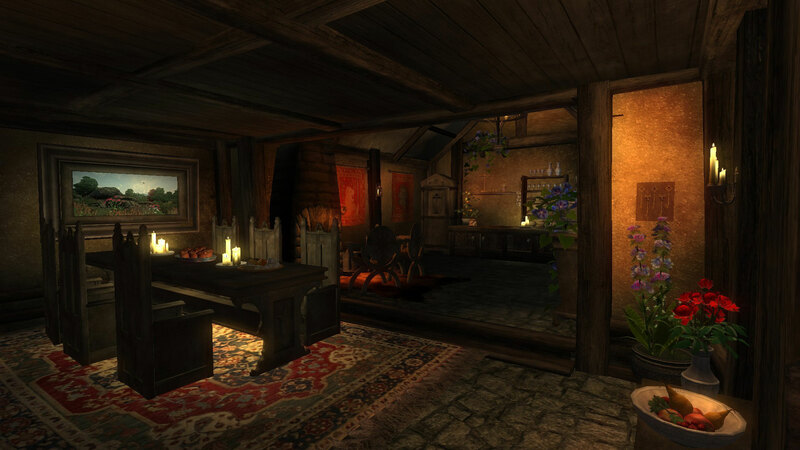 - you may make your own alchemy potions by activating the alchemy equipment in the basement. 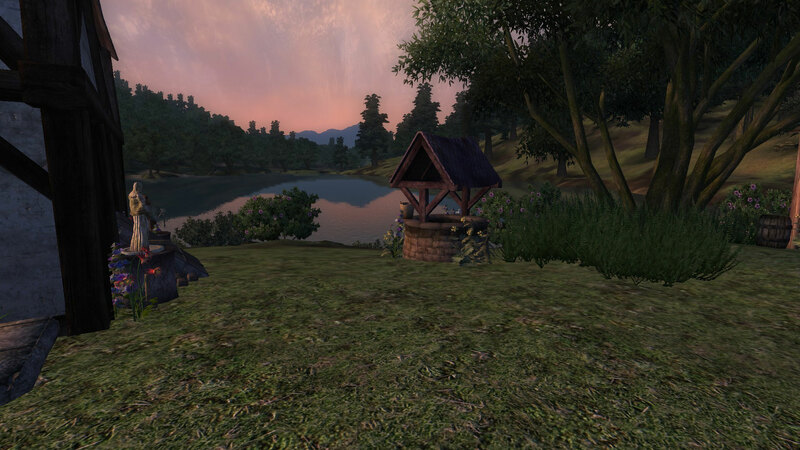 - you may enchant items at the enchantment station. 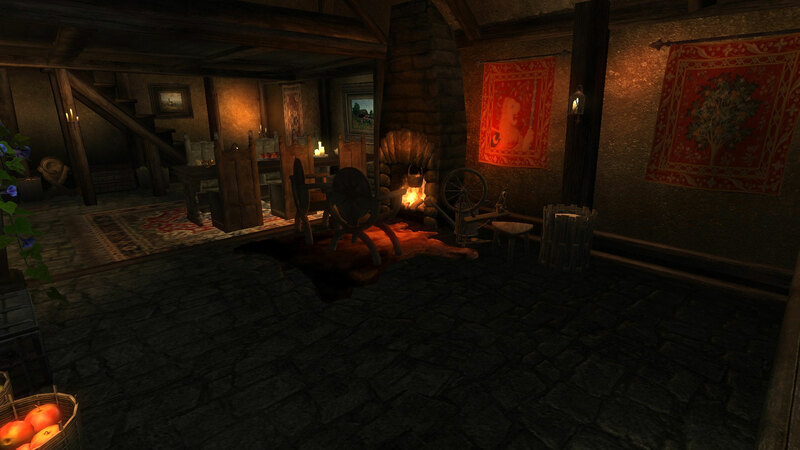 - you may make your own spells at the spellmaking station. - you may repair your equipment by activating the basement anvil. - You may catch mud crabs in the mud crab trap at the pier behind the house. - you may pour beer and wine from the kegs. Please use the empty bottles in the nearby crates for this purpose. - you may cure yourself at the statue in the bedroom. 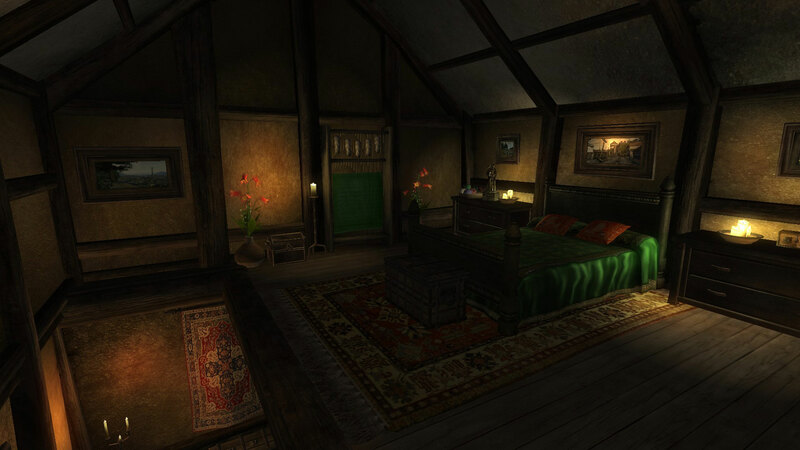 - you may give your companions additional orders while in the cottage. In order to do this, make sure that they each carry a "companion key" which can be found in a small chest on a drawer upstairs. (You may have to make sure that your companion is not in following mode when you give the additional orders, else it might not work properly). - daylight will automatically vanish during the night hours. 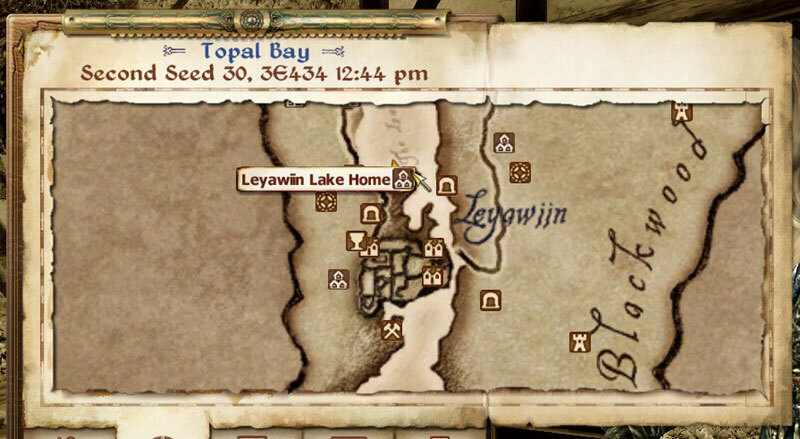 - You may use the boat at the pier behind the house to travel back and forth to Leyawiin. Activate the oar in order to travel. - the containers are non-respawning, with some exceptions: the wool barrels, and the trashbin in the basement. These containers are clearly marked as "RESPAWNING"
- The Luggage - is located close to the entrance, under the stair, but is only available if you have found the original Luggage in Anvil. 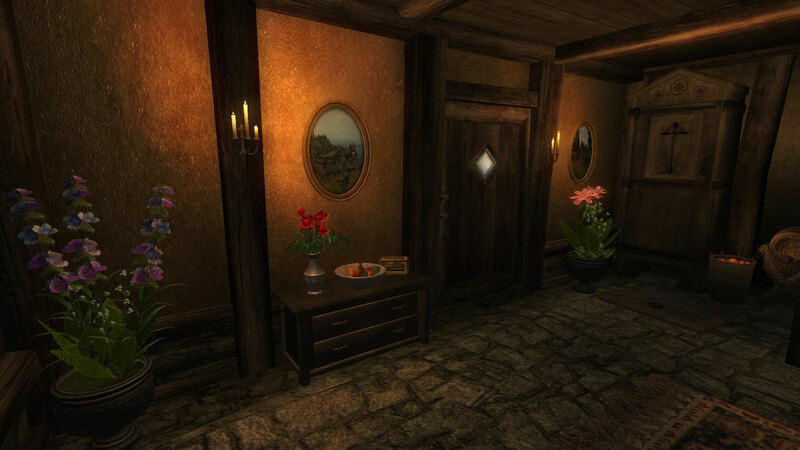 - Alchemy sorter - is located at stairs close to the alchemy desk. - A grinder is placed on the alchemy desk. - Dinnerplate is placed on the dinnertable. - One of the kegs in the basement will give water if you are using a survival mod. - The outdoor well will also provide water. I have choosen to make a COBL-add-on instead of a full COBL-version. My main reason for this is that I tend to continue to tinker on and improve my mods, and then I don't want to have to alter two esps. 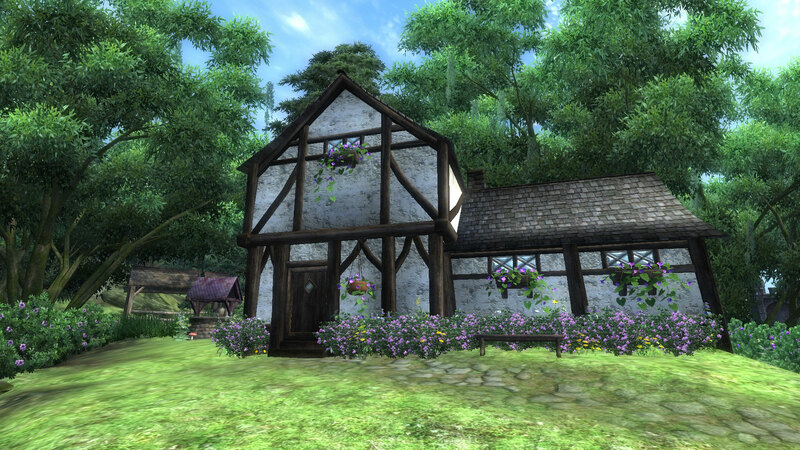 Obviously, the add-on has to load AFTER Leyawiin House mod, else many of the COBL-functions won't work.